After delivering a commanding performance at the recently concluded Bling Dawg Summer Jam stage show, fast rising dancehall artist Eric Sommers more popularly known as Iyara is taking his career to the next level with a confident push to leave a mark on the music fraternity this summer. According to Iyara his aim is to make good music and reach a new audience, "so far the summer has been great for me due mainly to the radio rotation, mi haffi big up every Disc Jockey local and aboard, every CD vendor, Sound and Selector and most importantly the fans that been supporting Iyara from day one, I do music for them". Since garnering massive airplay with his "Easy Fi Get" single on the Billboard Riddim from Pay Day Music, Iyara has been busy recording a host of new songs. 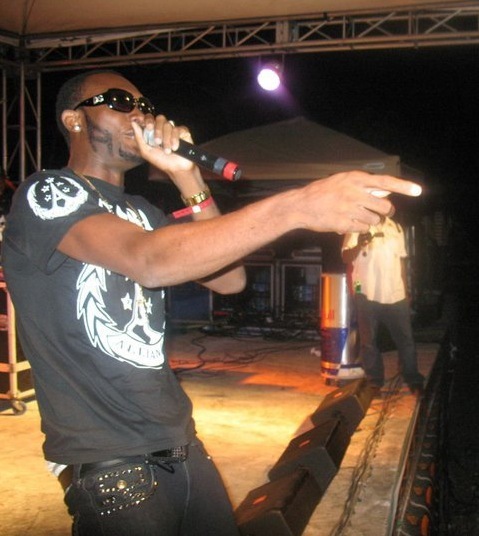 his current catalog includes the Baby G produced "Bad Dem Wish Fi Mi" on the new Badda Don Riddim. "I got that link from my link Warfare and once I heard it I went right to the voicing room over King Jammy's Studio. We voiced the song Wednesday morning and by Wednesday evening it was in heavy rotation on a number of radio station. There is also "A Me She Want" featuring singer Ishawna on the Style Dem Riddim and "Friend Dem Sell Me Out" alongside the golden voice of singjay Marlon Binns for which a video will be released this weekend" stated Iyara. In other news Iyara will be included in the line up for the Billboard Medley video which will also feature Mavado, Bounty Killer, Aidonia and Nymron.